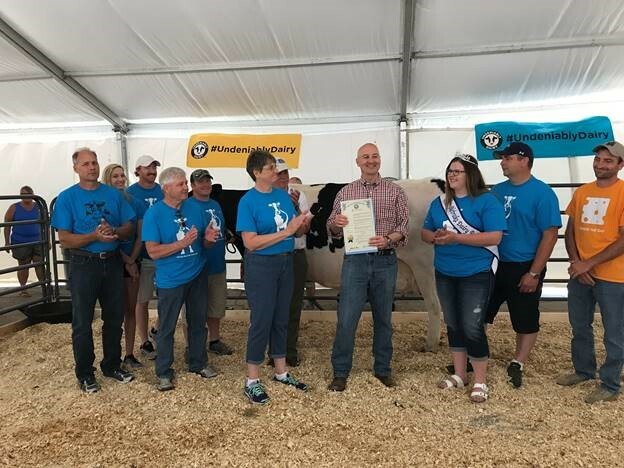 The Midwest Dairy Ambassadors participated with the Alliance for the Future of Agriculture in Nebraska (AFAN) and numerous agricult ural clubs on the University of Nebraska-Lincoln (UNL) East Campus to team up for the Husker Food Connection (HFC) event. HFC, which was held for the first time seven years ago, helps students gain a better knowledge of agriculture within the state of Nebraska. "Husker Food Connection provided the opportunity for students who have little to no experience with agriculture to see hands-on what it is all about," commented Dairy Ambassador Dawn Klabenes, "The dairy calf was a big hit, as well as the piglets, tractor, and games. Overall, it was a great day for the relationship between the farmer, plate, and consumer to be strengthened." The event featured a free lunch catered by Skeeter Barnes, farm equipment displays and an opportunity to interact with farm animals at the UNL City Campus Union Plaza. The 2018 Husker Food Connection theme was "Connecting with Consumers." HFC organizers answered questions and shared personal experiences from production agriculture by engaging in one on one conversations. All students and faculty were encouraged to take part in the interactive event. HFC is jointly sponsored by AFAN, several on-campus organizations and commodity groups including Midwest Dairy and Hiland Dairy. To learn more about the “First Mover’s Advantage” and the potential for dairy processing in Nebraska, visit http://NebraskaMilk.com or contact Rod Johnson at rod@nebraskamilk.org or 402-853-2028. Registration is now open for the Dairy Experience Forum. 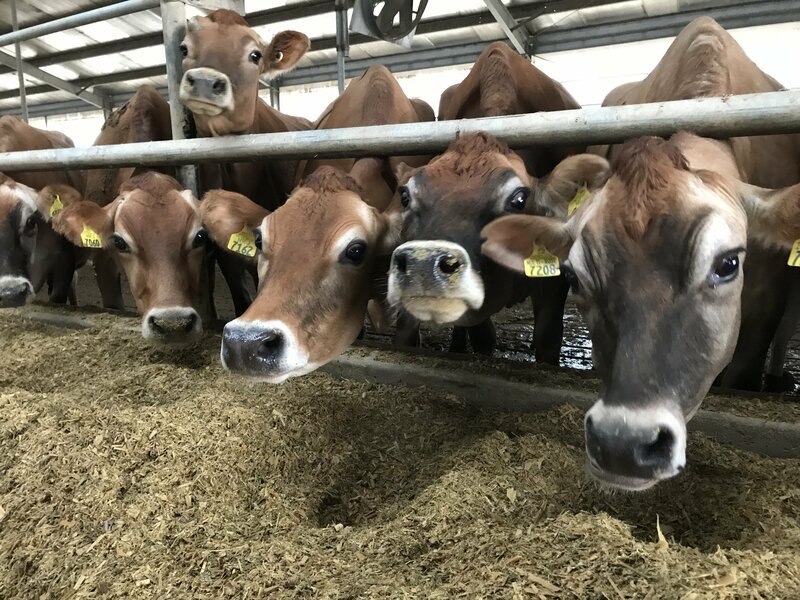 Don't miss this inaugural event to join dairy farmers and industry leaders from across the region to to explore The Critical Connection between the evolving expectations of today's consumers and the impact on demand for dairy products. The Forum will be held on July 24-26 at the Radisson Blu Mall of America in Bloomington, Minnesota. The deadline for registering for the event is July 16, and the deadline for reserving hotel rooms in the room block at the Radisson Blu is June 25. The cost for full attendance is $199, and guests can attend for $100 which includes participation in Welcome Reception, boat cruise, Taste and Learn event, breakfasts and closing lunch and keynote. This conversation is particularly important because today's consumer wants to know more about where their food comes from and how it was made. They also make purchasing decisions based on their personal values and information they hear from friends and family. The Forum features a variety of topics and speakers who will share information to help attendees actively participate in this relevant conversation that is critical to ensuring a strong future for the dairy industry. A focus group discussion with today's consumers about what they are looking for in dairy products and why they make the choices they do. Food industry leaders outlining how product innovators are working to meet and anticipate the needs of today's consumers. They will also discuss food policy and how it can affect consumers' dairy experience. Luncheon speaker and futurist Mike Lee will highlight how dramatically food production and shopping habits will change over the next 25 years and why it's critical to be innovative in response to these changes. A Taste and Learn sampling event where participants will enjoy the latest dairy products. Keynote speaker Josh Sundquist sharing his inspiring personal story to highlight how focusing on change and taking risks can lead to overall growth and success. 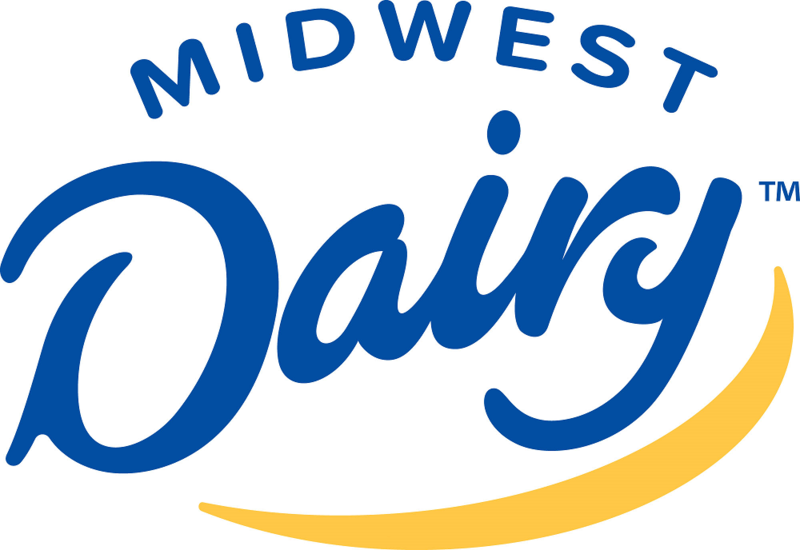 The event is hosted by ADA of the Midwest, and Midwest Dairy is a Premier Sponsor. Watch the event's Facebook Events page for Dairy Experience Forum updates.